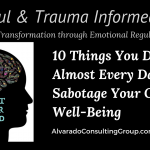 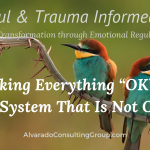 Alvarado Consulting and Treatment Group provides Trauma Informed Care and Secondary Trauma Relief services. 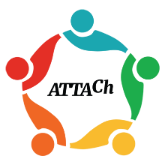 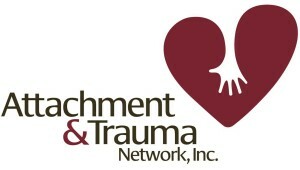 Our training and consulting is dynamically focused on all populations impacted by trauma. 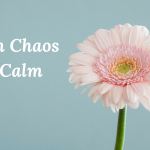 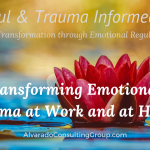 Our work is based in Emotional Regulatory Healing, ERH©, and Emotional Intelligence placing relationship at the center of successful transformation at home and in the office. 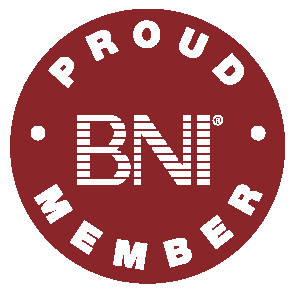 We are unique in the industry and provide an all-encompassing, flexible, and scientifically based continuum of individual, family and organizational services. 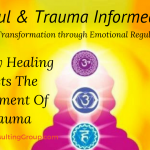 A blend of neuroscience, evidence based and mindfully rich approaches has resulted in healing transformation for groups and individuals internationally for more than two decades.